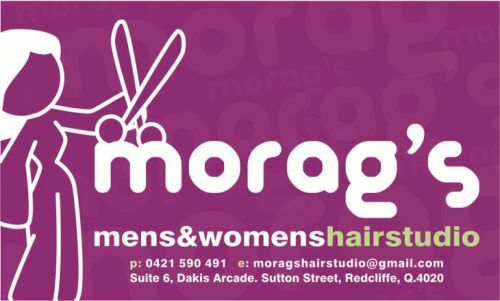 Hairdresser Find welcomes you to morags, Redcliffe, QLD 4020 we specialise in hair styling and colouring for all your hairdressing needs. A well kept salon that values every client. A warm and friendly environment is extremely important to the morags team, along with great customer service. morags is always ready to create and help you express all of your wishes. Business Owners Is morags in Redcliffe, QLD your business?